It's A Family Adventure! 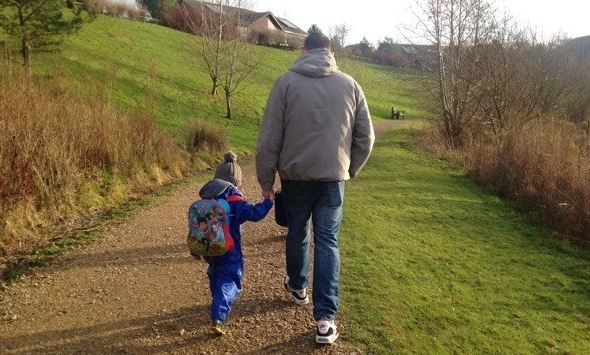 : Our Visit to Bluestone National Park Resort - Part Two! 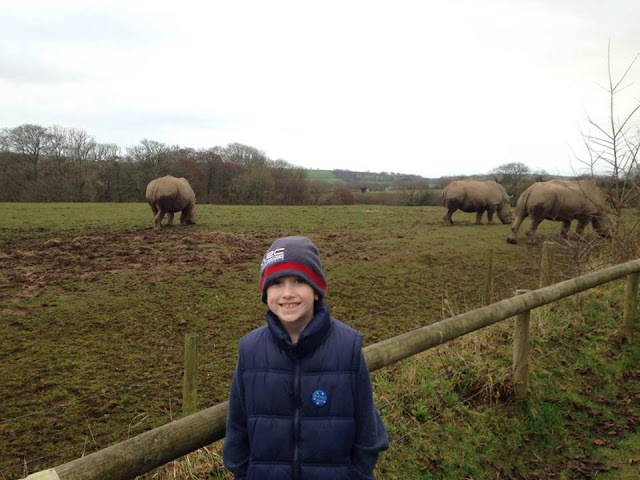 Our Visit to Bluestone National Park Resort - Part Two! Following on from the excitement of our arrival at Bluestone National Park Resort which I wrote all about in yesterday's post, I couldn't wait to share more with you about the park and the facilities on offer. We really did have a fantastic time, and the five days that we were there literally flew by. 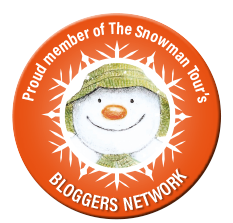 In Part Two of my review I will aim to cover some of the activities, the restaurants, The Blue Lagoon, and some local attractions. 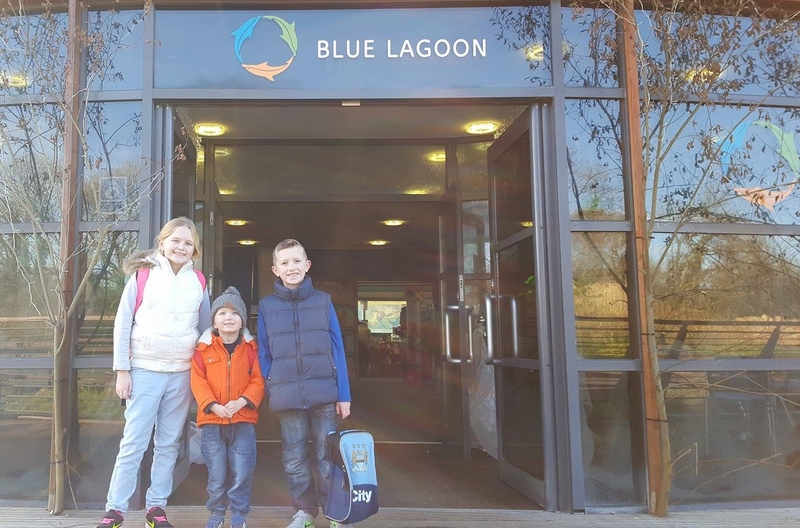 When you first arrive at Bluestone, you are provided with your passes for the Blue Lagoon. You can then use these to enter the pool by scanning the barcode on your ticket on arrival in the Blue Lagoon reception. In the foyer area there is also a shop that stocks a wide range of swimwear, swimming aids and flip flops, so if you happen to have forgotten something, then you should be able to buy it here. You then make your way down to the changing rooms, where there are male, female and also family changing cubicles. The changing area was always very busy each time we went, but we never had an issue in finding a cubicle. The showers are located just by the entrance to the pool and the toilets were a slightly further walk away around the side of each changing area. There are lockers available which require a £1 coin. I did notice however that they also had some free lockers just in case you had forgotten to bring any money with you, and I thought this was a helpful idea. They were quite small in size and so our family of 5 used 3 lockers between us. My children couldn't wait to get inside and were very excited when they heard the whistle blow for the wave pool. They weren't quite sure what to do first as there is a great choice of flumes, lazy river ride, wave pool and splash zones, but they decided to try out the wave pool to begin with. All of the iceberg floats had already been taken but they were happy just jumping up and down in the waves. A word of warning here would be to take any babies/toddlers to the very edge of the pool when the waves start, as they get very strong, very quickly and I saw a few people caught out by this, who simply thought they would just sit there and get a gentle wave. Believe me you don't! The Lazy River Ride was enjoyable, and goes outside where you can also relax in an outdoor pool. My youngest son Riley really enjoyed this and the only extra thing I would have liked here would be some more floats or inflatable rings to use. The toddler pool was really nice and my son enjoyed splashing about and climbing in the pretend rock pools too. It was a nice warm temperature which was ideal and there were several fun toys for babies and toddlers to play with. It is also in an enclosed area with a gate, which prevents any children from wandering off which is a great idea. I was persuaded by my children to try out the slides, and I nervously obliged. The first one I went on was in complete darkness which I hadn't been aware of at the time of entry. I hate not being able to see where I am going so I didn't enjoy this one, but the larger flume was quite light inside and very fast. My children particularly loved the double slide that took you outside to a raised pool area. You then got on another slide to get to another pool, before sliding down the last slide which took you back indoors. I really enjoyed this one, even though I did get a slight injury when I got on the second slide as the water was fast flowing and it started carrying me down before I had got both of my legs in causing me to hit my ankle. It wasn't a major deal but it did take me by surprise and hurt for a little while. Not enough to stop me from going on it again though! We visited the Blue Lagoon every day of our stay and on Wednesday evening there was the added addition of an inflatable assault course. We had great fun watching people attempt this, and my son had a go and made it look easy. The queue was quite slow moving though and my son waited 45 minutes for his turn, though he really enjoyed it so said it was worth the wait. My kids also really liked the fact that it got dark whilst we were there and that the lazy river ride now took you out under the stars. I must admit that this was lovely, especially as the sky was clear and there was a lovely view of the Moon and Venus. 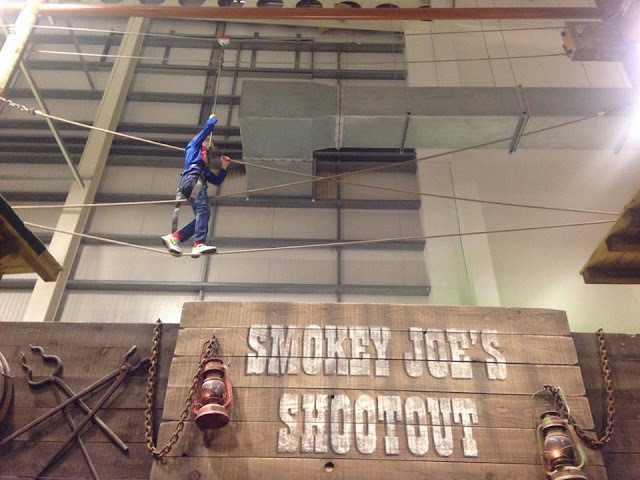 We visited the Adventure Centre several times during our stay, and my children particularly enjoyed the Sky Trail. My son was very nervous to begin with, but enjoyed it once he had completed the first obstacle and relaxed a little. The course took them about 20 minutes in total and cost £7 per person. Some obstacles were harder than others, and it ended with a leap of faith where you had to jump off the course and swing over to the opposite side where you were met by an instructor. My son also enjoyed the claw machines in the Arcade winning a couple of soft toys and some sweets whilst we were there. He spent a total of £6 and came away with 2 soft toys in total including an Angry Bird plush which he has seen for sale before in one of our local shops for around £15, so he was very happy with his prizes. There was an impressive climbing wall that was £15 for an hour session, however my husband is a qualified climbing instructor and when he went to talk to the staff member running it, he didn't seem to know much about it, nor did he know if he had a climbing qualification as just said his boss had shown him how to do it. Unfortunately this lack of knowledge didn't fill me with confidence so we decided against using it, but my children go climbing regularly with my husband and so I didn't feel that they were missing out on anything by not doing this. 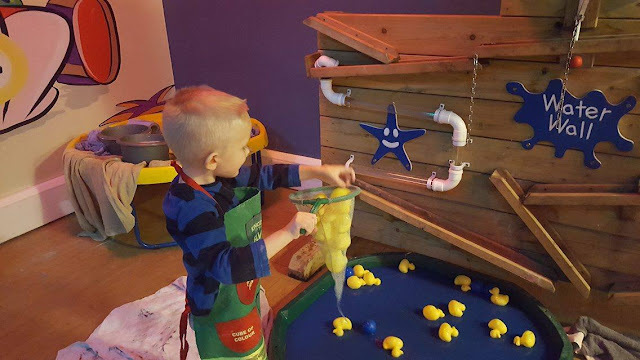 My husband, Emma and Ben all enjoyed a game of crazy golf together whilst I took Riley to his Shelby Snail Messy Play activity. They said it was very basic and easy but all the same fun and enjoyable and it also meant that it was fun to play as a family with all ages without being to hard for the younger family members. This is also a complimentary activity so it is something fun to do to fill some of your time that won't cost a penny. Always a bonus! Emma and Ben really enjoyed the adventure play area, and it is great to have something so big indoors to enjoy as it was really cold outside. Riley enjoyed the under 6's soft play on numerous occasions and made some friends there too which is always lovely to see. 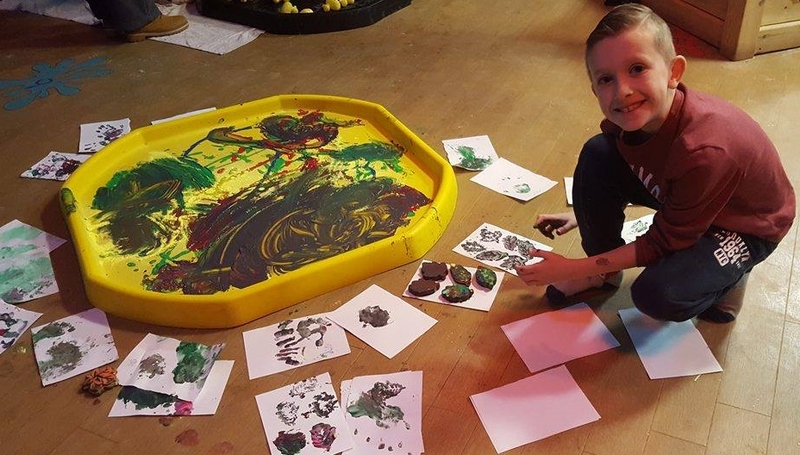 Riley took part in both the Buzby Bumbles and Shelby Snails Messy Mayhem activities on the Tuesday and Thursday of our stay. He is generally very shy and also very wary of taking part in new things with people he doesn't know and so we had a few tears on both occasions when we first took him to the activity. However, the instructors were great and within minutes Riley was enjoying what was on offer and listened carefully to any instructions. 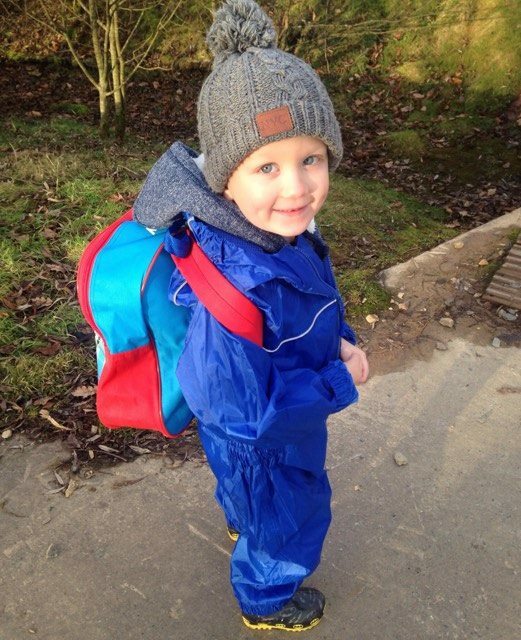 He participated in all the singing and dancing, and really enjoyed a little treasure hunt that took place during the Buzby Bumbles activity that encouraged lots of movement and exercise. 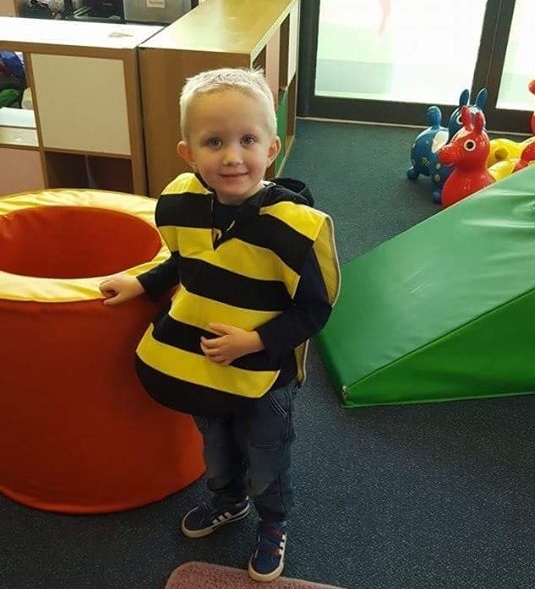 All the children also got to dress up as little bees to help Buzby and Riley looked so adorable! The Shelby Snail Messy Mayhem activity was great fun, and as the title suggests it is full of Messy Mayhem. 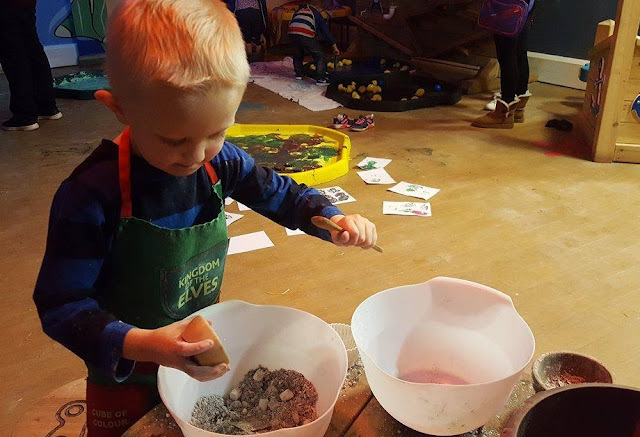 We changed Riley's clothes beforehand and put him in some old clothing so that he could fully enjoy the activity and get as messy as he liked. There were numerous little work stations that ranged from a water play area where you could catch some rubber duckies, a baking area where you could make a mud pie or cake for Shelby using various messy ingredients, a gluing area where you could create some crafty masterpieces and some paints on the floor where you were actively encouraged to get your hands and feet covered in paint and design some bright and messy artwork! Riley loves pretending to bake and cook, and also helps out in the kitchen whenever I allow him to, so his favourite station was the cake mixing area. He grabbed a large baking bowl and filled it with flour, mud and marshmallows along with some mixed oats and glitter. He then pretended to make some smaller fairy cakes and cups of mud coffee for me to enjoy. Yum Yum! 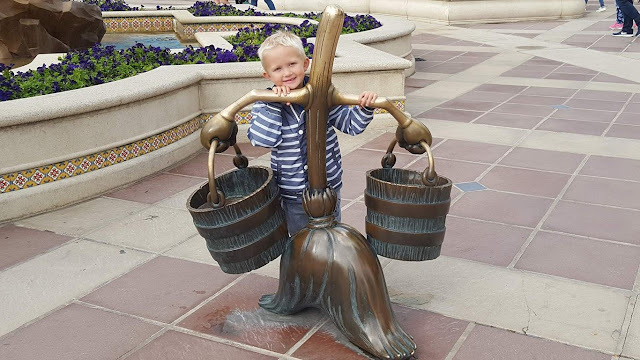 This activity cost £7 which I felt was really good value for money as there was plenty to do, and although Riley spent the majority of his time on the same station, he absolutely loved it which made it worth every penny for us. My favourite activity was actually a complimentary one, which took place on the Thursday evening before we left and was a beautiful light show set amongst the Woodland Trail. The trail had been adorned with lights and lanterns that represented different wildlife and creatures. As you walked further down the trail you come to a large rock face, where someone has had an amazing idea to turn this into a fairy village. As you look closer at the little lights on the rocks, you soon realise that these aren't just lights, but are in fact a selection of homes, shops, and cafe's for the fairy folk to enjoy. Due to it being dark it was really hard to get a good picture to show just how amazing the display looked, but here is a close up of one of the little shops. The attention to detail is just exquisite and it made the whole experience really magical for my children. 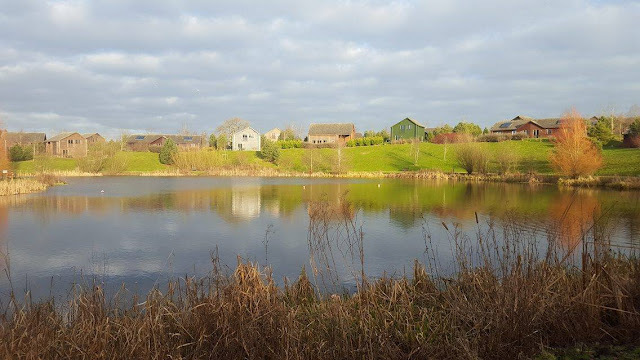 Of course you don't want to be on the go all the time, and although there are ample activities to enjoy we also enjoyed just taking a bit of time out and having a leisurely walk around the park and the lake. Bluestone is in such a beautiful setting and our walk saw us encounter an abundance of wildlife as well as peaceful scenic views. There are bug houses located around the park, and we saw plenty of squirrels, rabbits, ducks and different types of birds. The bus driver told us on one of our journeys to the Blue Lagoon that last year the park also attracted some swans to the lake, which was the first year they had experienced visting swans, and so they are hoping that they make a welcome return this year. If a leisurely walk isn't your thing, then the Well Spa offers a range of treatments for both men and women where you can truly relax and enjoy the spa retreat. The treatments aren't cheap but any treatment over 50 minutes in length also includes 2 hour entry to the Thermal Suite (usually £35 for 2 hours). As we were enjoying an active family break, I knew that I wouldn't have chance for any "me" time, but it would be great to return here with some friends in the future and enjoy some pampering. 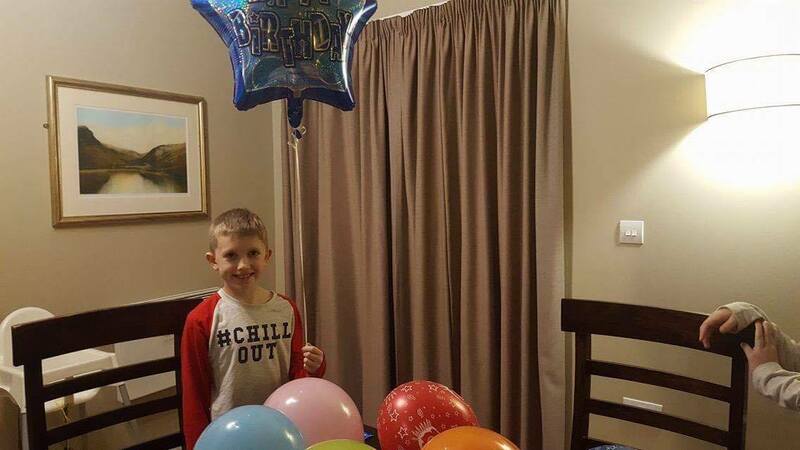 It was my son's 9th birthday whilst we were here on the Wednesday. We therefore decided to visit a local attraction for the day, and then return back to the site to enjoy the inflatable assault course in the Blue Lagoon in the afternoon. The ample space in the lodge meant that there was plenty of room for us to enjoy watching Ben open his presents in the morning, and we all enjoyed some cake for breakfast. If you are celebrating a special occasion during your stay, you can arrange to order some special extras for your lodge on your arrival including hampers, champagne, flowers, wine and balloons! 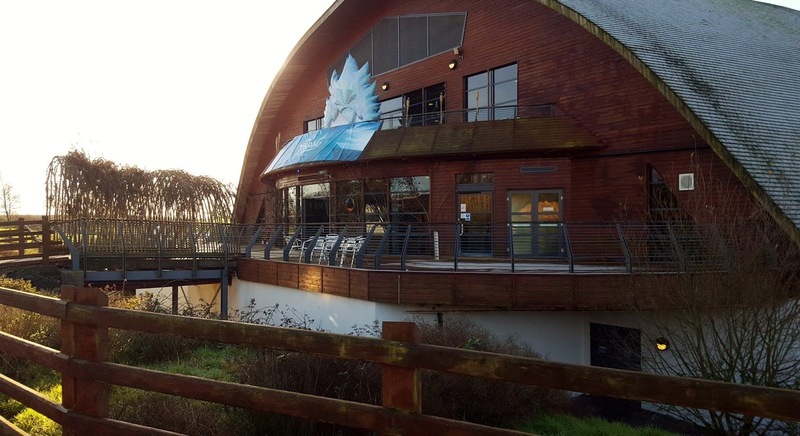 There is a nice selection of eateries on site including The Oak Tree Restaurant, The Farmhouse Grill, The Knights Tafarn, The WildWood Cafe, and Ty Coffi. There is also an al fresco dining experience available at Camp Smokey, though we didn't see this during our stay so I am unsure if it is open during winter months. There is also an on site Chippy van which we ate from on our first night. The Oak Tree Restaurant offers Italian fine food dishes ranging from £8.95 to £19.95 for main courses. The menu uses local and seasonal produce to create a varied menu and also has a daily changing specials board. Children's meals are available here too but my children wouldn't eat any of the options available which included Carrot Linguine with Cauliflower, and Seared Cod served with Tomato Tagliatelle. These dishes sound delicious to me, but my children prefer kids favourites such as chicken nuggets or burgers when we eat out, so this was a no from them! Farmhouse Grill offered a menu that was slightly more to our taste, with a few dishes that we would like, however I just felt that it was really overpriced and was disappointed to find how expensive it was to eat out onsite. For example kids desserts were £4.95 each with adults starters and desserts averaging £6.95. Adult mains ranged from £11.95 to £20.95 which would just work out too expensive for the 7 of us which was a shame. If we had all eaten what we would have liked for three courses our total bill would have come to £135.90 not including drinks. My parents enjoyed some sandwiches and drinks in Ty Coffi on our arrival date, and said they were really nice. 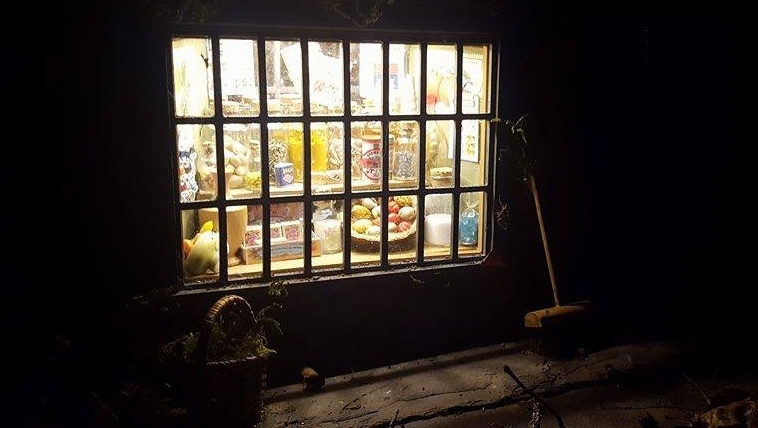 As it was a bank holiday on the day we arrived they hadn't received a food delivery and so the sandwich choices were limited, but my mum was able to find something suitable for her and they had an enjoyable snack. The Knights Tafarn offers pub style food with a nice menu, and also offers Sunday Lunch on a Sunday between 12-3. We would have dined here as I felt this catered more to our taste than the other two restaurants however it was busy both times we visited and so we decided to eat off site in the end and also self cater for our remaining days on the park. The lodges are designed for self catering though and cooking a large meal was no problem at all as the kitchens are so well equipped. On our first night we ate from "The Chippy" which offered chip shop favourites at reasonable prices. Our order came to £30 for plenty of food for the 7 of us, and this was a nice treat to have on our arrival day. The Jumbo fish cake was delicious, and the battered sausages went down a treat with the kids too. The chips were also very nice and the portion sizes were just right. On the two occasions we ate off site, we visited a Marstons pub restaurant located exactly 12 minutes drive away in Haverfordwest called "The Lost Coins". We had a really enjoyable three course meal here and it came to only £60 for the 7 of us. The food was delicious and the service was great. If you like pub food in a relaxed setting, and you don't mind a short drive then I would recommend eating there. They specialise in Rotisserie chickens and these can be seen being cooked in a large window in the main restaurant area. The restaurant also offers a small indoor play area and a park outside to keep children entertained. The kids menu also offered excellent value for money with three courses for £5.95. My children all had clean plates and really enjoyed (and most importantly ate) all the food they had ordered. 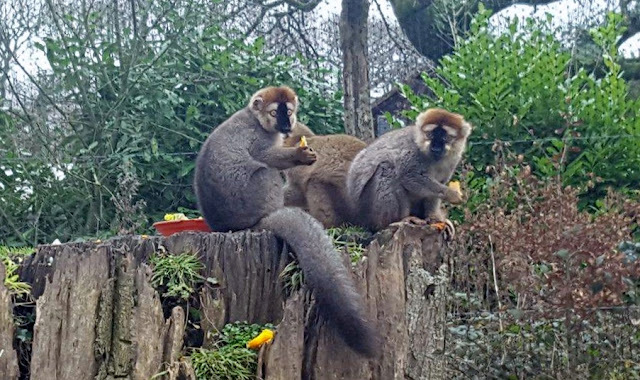 There are numerous attractions located nearby including Oakwood Theme Park which is a very short distance away and the rides can be seen from the park. Folly Farm is also nearby but unfortunately both of these were closed for the winter during our stay. 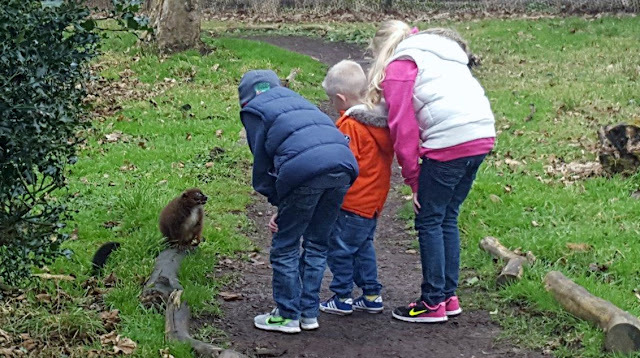 We did find one attraction that was open however, which was the Manor Wildlife Park also known as "Anna's Zoo" as it is run by television presenter Anna Ryder-Richardson. It is a lovely little wildlife park, where you can get close with the animals in their enclosures which we weren't expecting and so this was a wonderful surprise. I thought the entry prices were slightly high as they don't offer a family ticket, so at £13.95 per adult and £11.95 per child it does work out quite expensive. 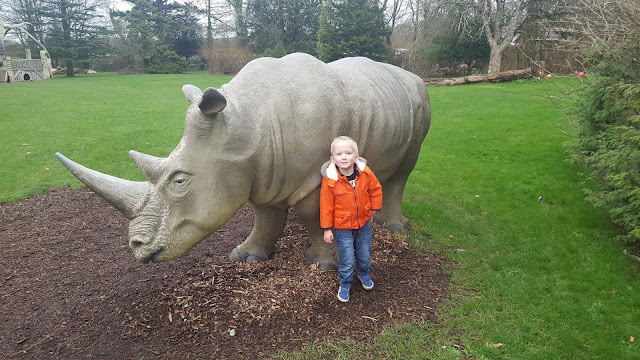 However there is plenty for children to do, and the added bonus of being able to walk in some of the enclosures makes up for the entry price. 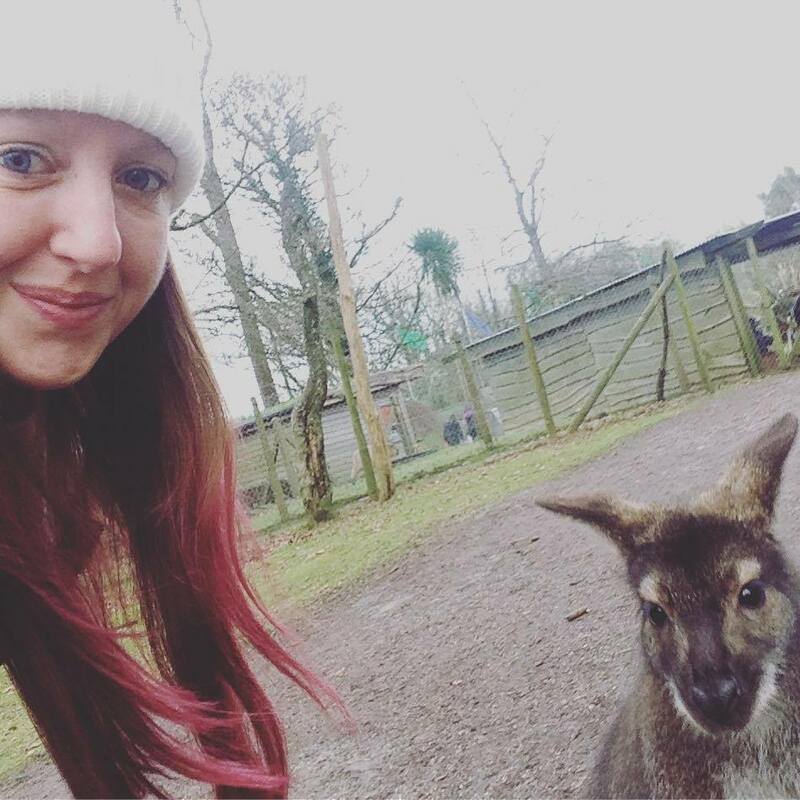 Immediately after the entrance is a large wallaby enclosure that you can walk through. The wallabies all bounce over to you very friendly and waiting to see if you have brought them some wallaby food which can be purchased on entry. They didn't seem scared at all, and they followed us round as we walked through the enclosure. I got a lovely picture with one of them who kept trying to look in my pocket! We then continued our walk through the park, the animals look very well cared for, and all have the largest enclosures I have seen in a wildlife park, however some updating and general maintenance is required in some areas as we noticed a few things that had fallen down or that were damaged. I appreciate that with them being open 363 days a year it is probably hard to get work done whilst there are guests everyday, but it could definitely do with a few improvements and perhaps closing for a few days to carry this out would be a good idea. Another walk through enclosure that we really enjoyed was with the lemurs. They had just been fed so it was really nice being so close to them whilst they munched away on their food. My son Ben also really enjoyed petting the giant rabbits which were in another nearby enclosure. Other animals we saw included Gibbons, Tigers, Rhino's, Meerkats and Zebras. There is a cafe on site, however I would recommend taking a picnic as the food here is quite limited and very expensive. Near to the cafe is a fantastic indoor play area that houses a bouncy castle, some ride on toys, and a very large indoor adventure centre. There are also lots of tables and chairs in here, so it is the ideal place to have a picnic in the winter months if you don't mind the peacocks wandering in and searching for left overs. We had an absolutely fantastic time at Bluestone and would love to return again in the summer months to experience both the parks facilities in the sunshine, and also the many nearby attractions. We were very impressed with the accommodation, and thoroughly enjoyed every day that we spent at The Blue Lagoon. I would like to see food prices reduced, or perhaps a meal deal option introduced for children at the restaurants as I just feel it is too expensive for what it is at the moment, and I appreciated the Chippy van on site as this was a great option for us on arrival night without having to worry about reservations or where to eat. Bluestone offers so much for it's guests that I could have easily stayed here another couple of weeks. The wide range of activities on offer truly means that there is something for everyone to do, and you can choose to do as little or as much as your like at a pace (and budget) that suits you. The staff we encountered on site were always friendly and helpful, and prior to our stay we had all our queries answered in a friendly and efficient manner too. Certain staff that stood out for us were the bus drivers, who were always pleasant when driving us to the Blue Lagoon, the maintenance staff who would go out of their way to try and help, and also the lady who worked on reception in The Blue Lagoon as my dad had misjudged his walking ability on one occasion and was unable to get back to his car, so she kindly rang another member of staff to come and collect him and drive him back to his car with no fuss. I would definitely recommend the Bluestone National Park resort and we cannot wait to return again in the future! *Disclaimer - We were provided with complimentary accommodation for the purpose of providing an honest review of the resort. All activities, food, and items purchased on site were at our own expense. All thoughts and opinions are my own.